The European Union has just approved an ambitious COST project addressing the threat of biological invasion in the region. 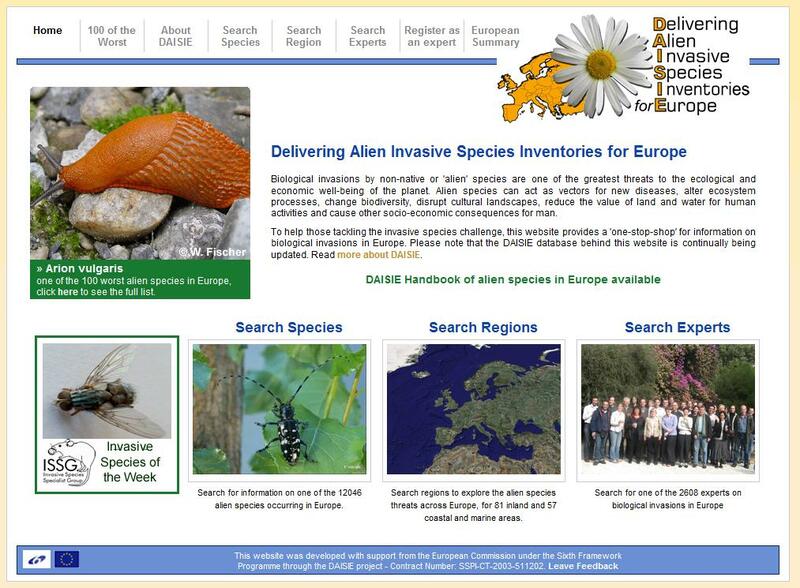 The project, which is aimed at the development of a European information system for alien species, is basically built on DAISIE, a previous EU funded project that so far delivered the most comprehensive inventory of alien species in Europe. 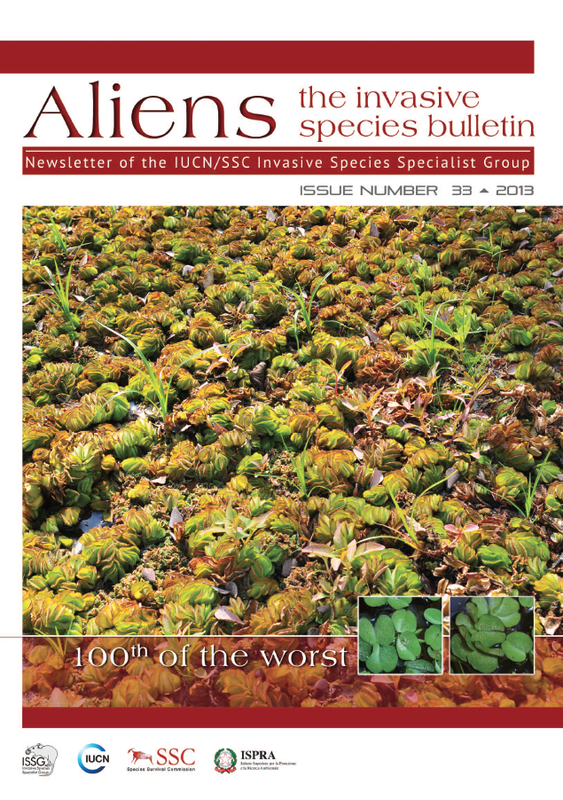 Aesop’s famous quotation "Union gives strength” is definitely the motto which does better express the great success achieved by DAISIE: in fact this FP6 project could count on the fruitful collaboration of a large number of experts in the field of biological invasions. Similarly, the new COST initiative gathers together an international team of nearly 100 leading experts from over 30 countries, led by NERC Centre for Ecology & Hydrology in the UK. DAISIE (Delivering Alien Invasive Species Inventories for Europe) was indeed the first attempt to assess the extent of the problem of biological invasions at the European level. The collection and analysis of data relative to over 10.000 alien species recorded in the region allowed to fill in the main knowledge gaps on the issue, including the identification of key patterns. The results showed that the rate of invasion of alien species has been increasing in recent years, and so are the associated costs to society, the economy and biological diversity (including the many impacts on the goods and services provided by ecosystems). They also showed that a unitary regional approach is required to design and implement innovative and cost effective solutions to combat IAS and the problems they cause. Nevertheless the information on alien species across Europe is still scattered in a multitude of databases, plus a number of peer-reviewed articles and grey literature, unpublished research projects or institutional datasets. In fact many other initiatives exist that have contributed to consolidate information into centralised regional or local databases (examples are NOBANIS, REABIC, ESENIAS, MAMIAS, the Baltic Sea alien species database). The problem is that the available databases are severely affected by many constraints that limit their effective use, e.g. data obsolescence, lack of interoperability and uncertainties for long-term sustainability, etc. Besides, there are major differences in their geographic, taxonomic and ecological coverage. 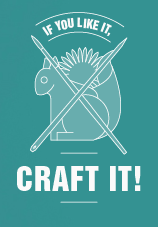 In this context, and in continuity to DAISIE, the new project aims at facilitating enhanced knowledge gathering and sharing. In fact a key task of the new COST project will be the exploration of the existing data gaps to ensure a better harmonisation and validation of information distributed in the available resources, to be efficiently used in early warning system decision tools (through standards developed in DAISIE). The ultimate aim is to support the development of a European information system for effective and informed decision-making in relation to IAS and the relevant EU legislation that is being developed. COST, which is an intergovernmental framework for European Cooperation in Science and Technology, will ensure the project partners to work in close contact with all national and regional alien species networks to ensure a fair exchange of high quality and reliable data and information. 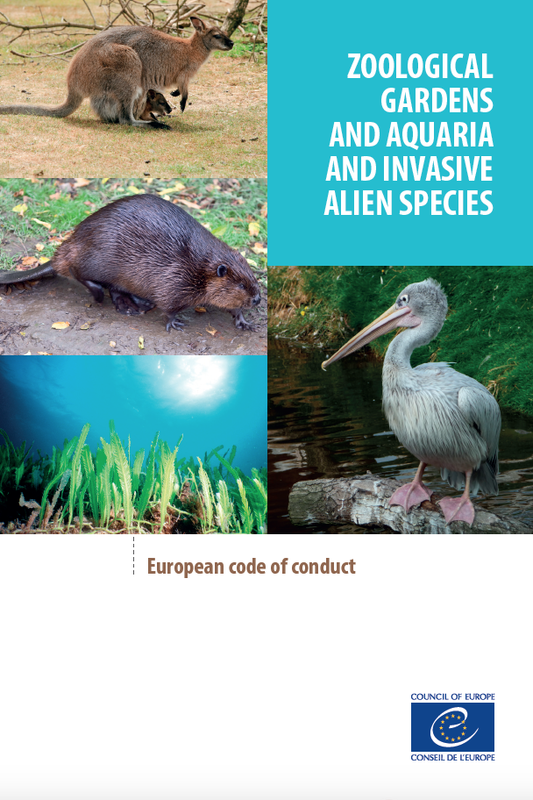 The objectives also focus on the need to analyse data and information to assess the impact of invasive alien species and the relevant pathways – thus fully supporting the implementation of the EU 2020 Biodiversity Strategy.